In the cities that never sleep, such as those in Los Angeles and Orange Counties, 24-hour traffic control is crucial. Anything can happen any time. And somebody must be ready to protect the often-vulnerable roadways. That somebody is Roadway Construction Service (RCS), the service that’s ready round the clock. For us, 24-hour traffic control consists of many dimensions. Among them are temporary traffic control, traffic control planning, and traffic control permitting. Whenever road conditions change because of work zone demands, temporary traffic control is required. This typically involves the use of temporary traffic control devices, flaggers, uniformed law enforcement officers, or other personnel. No two temporary traffic control zones are alike. Each has its own character and needs. Among the common variables are location, road type, geometrics, vertical and horizontal alignment, and volume of pedestrian traffic. On every project, RCS skillfully manages the variables to ensure maximum safety and minimum interference with normal traffic flow. Every decision requires the utmost understanding of the situation at hand. For example, in deciding on the number of temporary traffic control devices, RCS experts must pinpoint the exact location of the work zone. Typically, the closer to traffic, the greater the number of devices required. Even temporary pavement markings demand skillful judgment. Depending on the situation, RCS personnel must decide when and where to use paint, removable tape, or temporary raised pavement markers (TRPMs). Experience and expertise definitely shape all RCS traffic control planning decisions. Leveraging in-depth knowledge, our project managers take into account a broad range of variables in order to formulate a workable plan. Every contingency, possibility, and detail is evaluated before a strategy is devised. Not only must traffic control plans satisfy our team; they also must meet the requirements of federal and California state guidelines. Indeed, it’s quite a load to deal with. But in the end, this thorough planning enables RCS to stay on budget, complete jobs in a timely manner, and provide maximum protection to crews, pedestrians, and motorists. Before a plan can be implemented, proper authorization is required. Accordingly, RCS invests substantial effort and expertise in the traffic control permitting process. There are multiple steps between initial plan and final sign off. RCS personnel are thoroughly prepared for all of them, beginning with Application Submission. During this phase, we ensure every application is supported by the proper documents, including construction and traffic control plans. But our involvement doesn’t end there. We’re in complete contact with appropriate personnel throughout all subsequent phases of the traffic control permitting process — Application Review, Granting of Permit, Inspection Scheduling, Actual Inspection, and Acceptance, the crucial stage in which final signoff is given by the proper authorities. Of course, these are only some of the many dimensions of our widely recognized 24-hour traffic control services. If you’d like to learn more, please contact RCS for additional information and answers to all your questions. 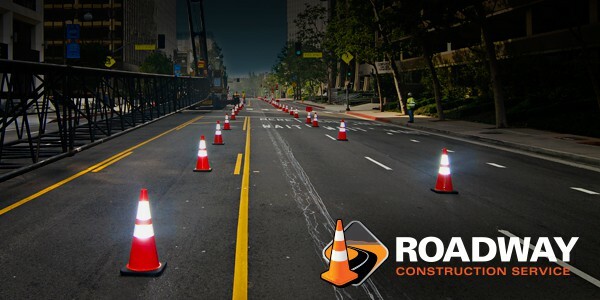 You’ll discover why we set the standard for temporary traffic control, traffic control planning, traffic control permitting, and all other traffic management services in Orange County, L.A., and all of Southern California.